We are aware that players using Windows 7 systems are unable to see in-game web pages, including the Black Spirit Adventure, Guild Rankings, Beauty Album, Wiki, and more. Right click on your Black Desert Online Launcher. 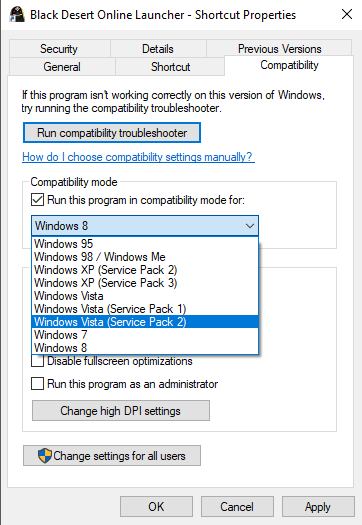 Check the Run this program in compatibility mode for option, and select Windows Vista (Service Pack 2). Keep in mind that this option will greatly affect your game loading performance.